Dr. Mark A. Petroff is double board certified by the American Board of Otolaryngology (head and neck surgery) and the American Board of Facial Plastic and Reconstructive Surgery. He specializes in providing his patients with seamless results that are as natural and undetectable as possible. He has been practicing in the facial cosmetic industry for over 25 years and is passionate about personalizing each treatment to his patient's specific needs and goals. We invite you to learn more about his qualifications and the results he can provide by way of facial plastic surgery. 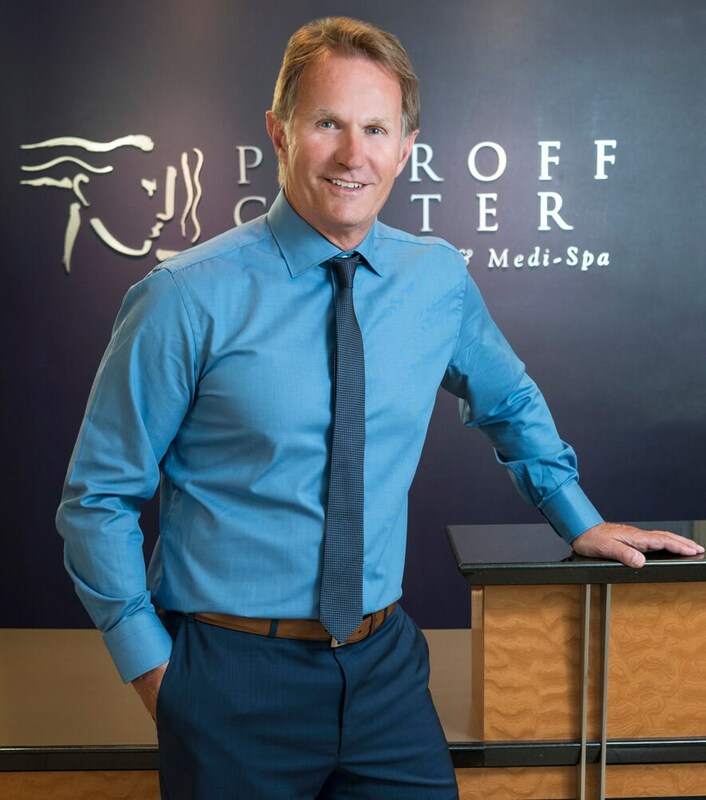 Petroff Center Plastic Surgery and Medi-Spa is a state-of-the-art facility led by our board-certified facial plastic surgeon, Dr. Mark A. Petroff. Under his guidance, our skilled team of medical professionals is able to offer our patients a wide range of cosmetic procedures that are all performed onsite in either our accredited surgical center or our Medi-Spa. Petroff Center is proud to serve the Lake Oswego and Portland, OR communities, as well as Vancouver, WA and the surrounding areas. We place an emphasis on providing each patient with extremely natural results. Our treatments are designed to subtly rejuvenate the skin, enhance the facial features, and reverse signs of aging. We invite you to learn more about our office and schedule a visit. Surgical procedures aimed at enhancing the facial features in a natural, subtle way. Medical-grade fillers and wrinkle relaxers that smooth out and contour the face. Advanced laser treatments that target skin afflictions and remove unwanted hair. Noninvasive procedures performed in our Medi-Spa that safely improve the skin. I am a surgeon, so I know a good surgeon when I see one. My sutures were perfectly aligned, equidistant from each other, and tiny as quilting stitches. Now, 3 months after an eye and facelift, I look like a younger, more gorgeous version of myself. I never would have thought it possible! I am a fan and I will be sending my own patients to Dr. Petroff. Friendly staff and Dr. Petroff is simply the best in his field. Dr. Petroff and his team were so kind, caring, and courteous throughout my whole medical experience with the clinic. It was clear that everyone was genuinely considerate of my desires and needs, and the results were all I ever wanted. I would definitely recommend Dr. Petroff to others, and am so grateful for him! Explore our gallery of before-and-after photos to see our stunning patient transformations. Read our patient testimonials for insight into our process and quality patient care. Learn more about our high-end facility that services men and women from all over the country. View all of our exclusive offers and specials that we proudly provide for our patients.